Brian Toone, left, and the people behind the best jewelry in the Inland Northwest. Jewelry Design Center opened in 1977 as Doug Toone Jewelry Manufacturing. Doug was what you might call the guy behind the guy, providing wholesale services to other jewelry shops in the area. After about a year, however, savvy folks realized they could create the jewelry of their dreams by going straight to the source. By 1979, Doug had taken his business in a new direction and was working with customers one on one. The Jewelry Design Center's reputation would grow out of that bespoke, highly personalized service. Doug's son Brian, now the company's president and CEO, says windows are the enduring symbol of the Jewelry Design Center philosophy — specifically the massive in-store windows that showcase the designers at work. Through them, customers can see rings, pendants, bracelets and necklaces being crafted to their exact specification right before their eyes. "Originally, the windows were there for functionality," he says. "It was so the jewelers could see when people were coming into the store. That became our core, where people get to come and work directly with the people that are working on or making their jewelry." Toone himself was initially reluctant to follow his father into the family business. But during the summer of 1995, he agreed to lend a hand before heading back to college. "A gal came in, and I worked with her to create a design. She was taking different rings and kind of combining them into one. We went back and forth through the normal custom process of drawing the picture, having her approve it, hand-carving the wax and then casting," he recalls. "When we'd finished, I handed over the ring, and she started to cry. It wasn't the diamonds or the metals, it was because of what it meant to her. She had taken these parts from different stories in her life and united them." Suddenly his father's devotion to this unique line of work became clear. "That's when I realized it's not about the material part of it. It's about the emotions behind it." 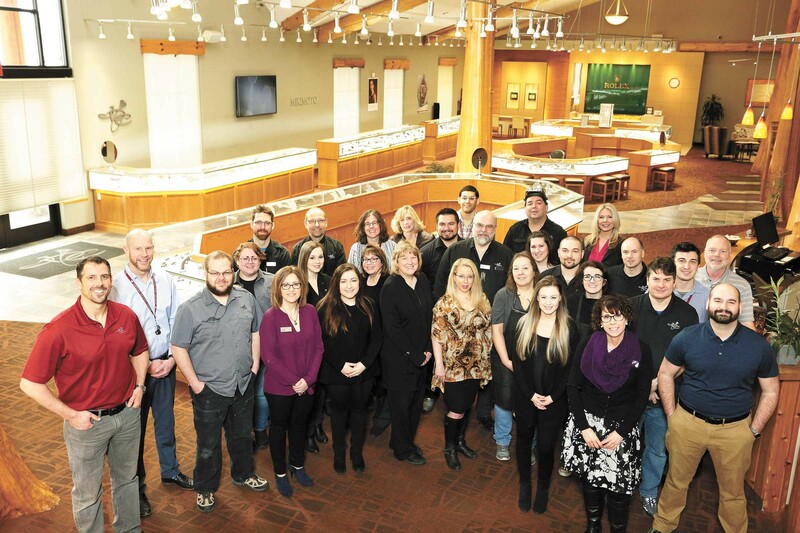 In the years since, an award-winning sister store has opened in Kennewick, Doug has taken a step back and Toone's siblings have joined him in this potentially "lost art" of turning stories and emotions into gold — plus many other gems and precious metals — to the tune of about 1,200 tailor-made pieces per year. "We're lucky that our dad put us on this path and taught us all that it's about more than just the jewelry," he says. "That idea has carried on." The original print version of this article was headlined "Best Jewelry: JEWELRY DESIGN CENTER"